This was my comment about our property management company when we left a home we loved and turned the keys over to strangers. Six years ago, when we received orders to move overseas, we didn’t want to sell the house we owned near a military base. The market wasn’t great for sellers, and we preferred to make income by renting it to other military families. Since we would be living overseas, we needed a local company that could manage the property, find renters, and handle repairs or maintenance. Some research brought us to one of the larger property management companies in our town. We gave them the keys. They advertised that it was available for rent. By the time we were ready to leave the country, our new renters were ready to move in. We continued to rent out the property for the next six years, remaining with the same property management company the entire time. During that time, we learned a lot. Recently, we successfully sold the house. From beginning to end, I am now able to tell you the good, the bad, and the ugly facts about our experience. 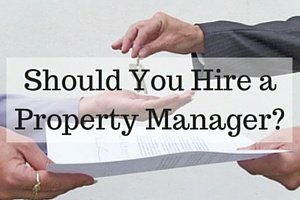 What should a property management company do? 1) Advertise the property’s availability. When you are ready to rent the home, the company should handle advertisements and the entire application process. They can schedule home showings and answer questions about the property. Your property manager can give you comparable rent rates for other homes in your neighborhood. They may also recommend an incentive like an agent’s fee, which encourages real estate agents to look at your home before others. You are not required to accept their advice. Ultimately, the owner sets the rental price. But use the company’s suggestions for a reality check of your neighborhood. When a prospective tenant asks to visit the home, your company should run a credit check on them. Don’t ignore the results! We once accepted a low-credit tenant because we were desperate. We soon regretted it when she got behind on her payments and eventually left us with thousands of dollars in damages. 4) Handle tenant contracts and payments. The company will handle all the paperwork. They will also process the tenant’s monthly rent check and make a direct deposit into the owner’s account. You can approve new tenants or revise contracts remotely through the company. 5) Provide estimates and complete repairs. The company will tell you what needs to be replaced at your property, based on tenant complaints or annual inspections. They will provide estimates from local vendors they've already vetted. They should provide photos and invoices for completed work. 6) Provide an annual property report. You should get an interior and exterior review at least once a year. This should include photos, maintenance concerns, and any tenant violations (like unapproved pets or not mowing the grass). Ask questions and follow up to get the best advice on maintaining your property. 7) Perform random exterior checks. The company cannot enter the house without the tenant’s approval, except for the annual inspection which is scheduled in advance. However, they are able to do drive-by checks on the property and report any problems to the owner. These checks let us know that our gutters needed to be cleaned and that our mailbox post was falling over. 8) Charge a fee based on monthly rent. All this work will cost you. Many property management companies charge 10% of the monthly rent. They will take their cut before depositing any rent payments into your account. You can shop around or negotiate for lower rates… but be careful. Lower fees may mean less service. 9) Communicate with you, the owner. Yes, it’s your house, and the property management company is working for you! They should respond to your emails, answer phone calls, and provide photos or invoices when you request. 10) Can help sell your property. Most property management companies are connected to a real estate firm. When you are ready to sell your property, they can assist in the process. This isn’t always the best agent or the ideal situation though, so shop around to find an agent you trust. Anything a property management company shouldn’t do? 1) They shouldn’t ignore your maintenance requests. If you’re willing to pay for a repair, they should make it happen. It shouldn’t take two months and 15 emails to get the job done. 2) They shouldn’t accept tenants with low credit. The company will tell you of any serious tenants, and the owner is allowed to negotiate or make exceptions. But if they caution you about a low credit score, don’t make the same mistake we did! 3) They shouldn’t perform maintenance without quotes or approval. Occasionally, there will be an emergency repair that must be fixed immediately, like a water leak. The company won’t have time to get estimates and wait for the owner’s approval. However, most repairs are not emergency situations. You should get a quote and approve a repair before a vendor is scheduled. 4) They shouldn’t let a tenant directly contact an owner. Having a property management company protects you, the owner, from being contacted by your tenants. If something is bothering them about the house, they will call the company. But they should not have direct contact with you. This was especially appreciated by our military family when we lived in another time zone on the opposite side of the world. When you have a good property management company, it makes owning and renting your property as painless as possible. The right company can save you time and money, so take your time to read reviews and choose a good one!